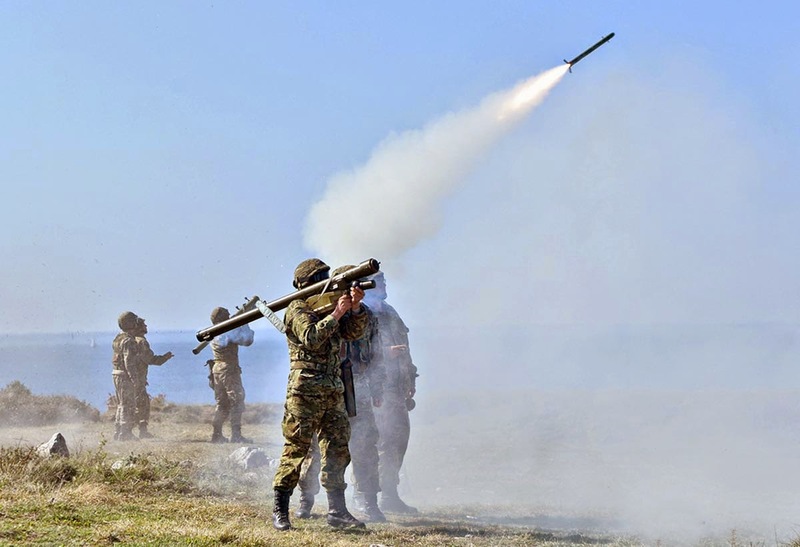 The 9K32 Strela-2 (Russian: Cтрела, “arrow”; NATO reporting name SA-7 Grail) is a man-portable, shoulder-fired, low-altitude surface-to-air missile system (MANPADS) with a high explosive warhead and passive infrared homing guidance. Broadly comparable in performance with the US Army FIM-43 Redeye, it was the first generation of Soviet man-portable SAMs, entering service in 1968, with series production starting in 1970. As development began in the Turopov OKB (later changed to Kolomna), detailed information on the design of the US FIM-43 Redeye became available. While it was by no means a simple reverse-engineered copy, in many ways the Strela design borrowed heavily from the Redeye, which had started development a few years earlier. The missile launcher system consists of the green missile launch tube containing the missile, a grip stock and a cylindrical thermal battery. The launch tube is reloadable at depot, but missile rounds are delivered to fire units in their launch tubes. When engaging slow or straight-receding targets, the operator tracks the target with the iron sights in the launch tube and applies half-trigger. This action “uncages” the seeker and allows its attempt to track. If a target IR signature can be tracked against the background present, this is indicated by a light and a buzzer sound. The shooter then pulls the trigger fully, and immediately applies lead and superelevation. This method is called a manual engagement. An automatic mode, which is used against fast targets, allows the shooter to fully depress the trigger in one pull followed by immediate lead and superelevation of the launch tube. The seeker will uncage and will automatically launch the missile if a strong enough signal is detected. After activating the power supply to the missile electronics, the gunner waits for electricity supply and gyros to stabilize, puts the sights on target and tracks it smoothly with the launch tube’s iron sights, and pulls the trigger on the grip stock. This activates the seeker electronics and the missile attempts to lock onto the target. 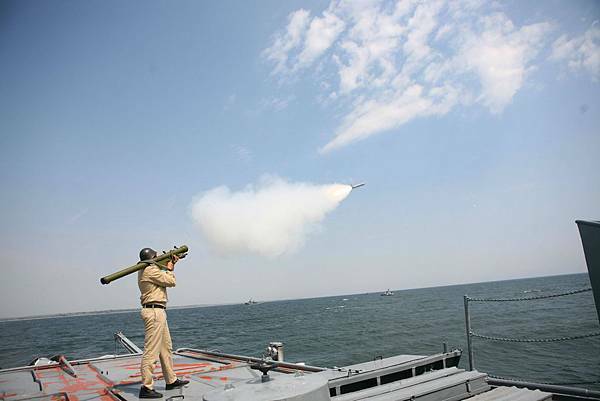 If the target is producing a strong enough signal and the angular tracking rate is within acceptable launch parameters, the missile alerts the gunner that the target is locked on by illuminating a light in the sight mechanism, and producing a constant buzzing noise. The operator then has 0.8 seconds to provide lead to the target while the missile’s on-board power supply is activated and the throw-out motor ignited. On launch, the booster burns out before the missile leaves the launch tube at 32 m/s and rotating at c. 20 revolutions per second. As the missile leaves the tube, the two forward steering fins unfold, as do the four rear stabilizing tail fins. The self-destruct mechanism is then armed, which is set to destroy the missile after between 14 and 17 seconds to prevent it hitting the ground if it should miss the target. The SA – 7 is a IR guided missile and because of this, no launch warning is given by the F16, your wingman may call out the missile launch to you but this is not a certainty. The only way to effectively counter a SA – 7 launch is to visually acquire the missile and immediately perform a maximum performance turn away from the missile’s path and rapidly deploy flares in bursts, you can acquire a SA – 7 launch at night very easily as the missile launch creates a large flash and the missiles sustainer motor can be seen streaking towards you. 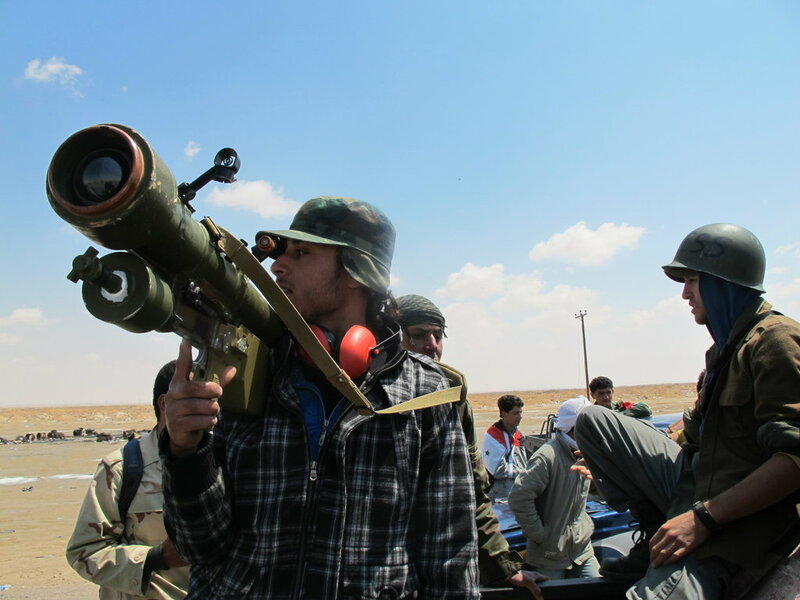 The destruction of an SA – 7 is very simple, the SA – 7 is a man operated system (there is a poor soldier carrying it). Soldiers are squishy especially when they are hit with a bomb. 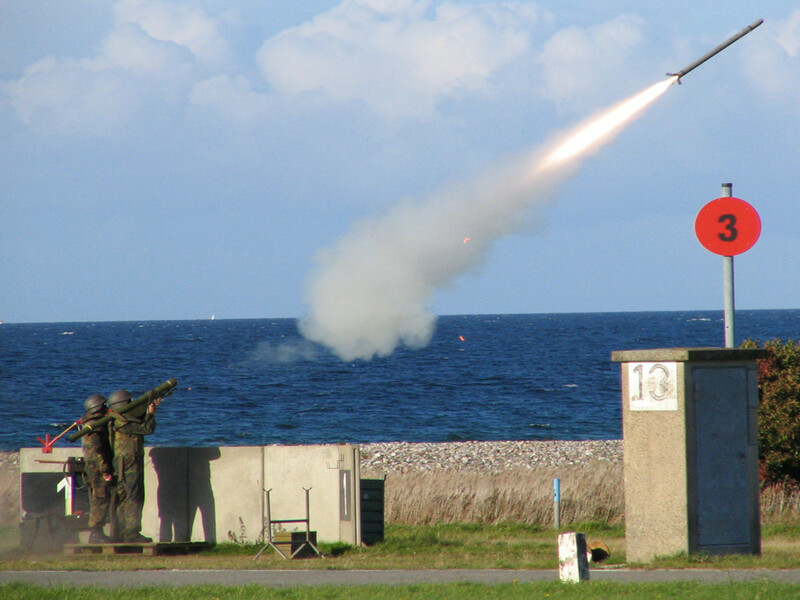 The SA – 7 is used as a last line of defense. A SA – 7 unit usually consisting of 2 launchers with several reloads, accompany ground forces and provide short range SAM cover to the attached units, some common units where SA – 7s can be found are, HQ battalions, Infantry Battalions and Artillery battalions.